Glen joined the Board in 2013. He was also appointed President of the Melbourne Football Club in 2013. He also Chair’s the Facilities Working Group. He is the Managing Director of Bartlett Workplace, a company specialising in Industrial Relations (IR) including: IR and Employment Legal services; IR and HR Advisory services, Workplace Investigations; and Workplace Management capability and Leadership development training. Bartlett Workplace has a national reach with offices in Melbourne and Perth. Prior to setting up Bartlett Workplace, Glen practised law for 15 years with Clayton Utz Lawyers including 3 years as Managing Partner. Glen over the years has given his time and expertise to a wide range of community organisations including WA football, indigenous communities and various charities both in Victoria and WA. Glen is a respected advocate for the sports industry, having held various roles over the years including: Honorary Legal Advisor on Rules for the WAFL, President of the WAFL Players Association, member of the Appeals Tribunal for the WAFL and WA players’ representative on the national AFL Players Agents Association board (AFLPA) from 1998-2000. Glen was a successful former Australian Rules footballer who played for the West Coast Eagles, and was part of their inaugural team, winning their Best Clubman award in 1987. He was captain of East Perth for four years before retiring after achieving life membership at the age of 26. 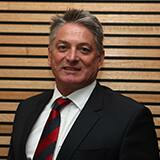 He also represented WA and was appointed Vice Captain against South Australia in 1990. Glen retired to concentrate on his law studies, becoming a lawyer in 1996. Geoff joined the Board in 2013. 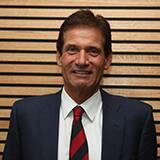 He is a Vice Chairman of Melbourne Football Club and Chair of the Club’s Nominations & Remunerations Committee. Geoff was a founding partner of Freeman McMurrick. This business went on to become the largest privately owned Insurance Broking House in Australia. In 2006, Freeman McMurrick was acquired by international insurance giant, Aon, the world’s largest insurance broker. 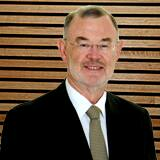 Geoff served for many years on the Aon Australian Advisory Board and other industry boards. He holds an advanced diploma in financial services and is a qualified practising insurance broker. Geoff is a Foundation Hero Gold Legend. 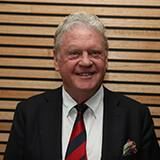 John is the Vice Chairman of Melbourne Football Club and Chair of the Club’s Risk and Audit sub Committee. He is also Chair of the Bentleigh Club sub-committee. He has particular involvement at the Board level on the governance structures, risk management and finance operations of the club. John worked in the Accounting and consultancy industries for over 37 years both in Australia and globally. He specialised in Corporate Governance, Risk Management and business growth. He had a number of leadership roles with Deloitte including: Global Managing Partner - Risk Services, Asia Pacific Managing Partner Risk services and most recently Managing Partner of Deloitte Victoria. He is a Fellow of the Institute of Chartered Accountants and a member of the Australian Institute of Company Directors. He also holds a Bachelor of Commerce from Melbourne University. 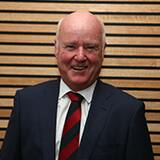 John is a Foundation Hero Legend, a member of the the MFC Club Lunch, the Demon Army and the Melbourne Cricket Club. Mohan joined the Board in 2015. He is Chief Executive Officer and managing director of Freestyle Technology Ltd, which operates in the global Internet of Things market - connecting devices in the fast growing world of the Internet. Freestyle operates in Australia, Korea, Japan, China and Taiwan. He is a past director of Racing Victoria Ltd, Telecom Mobile Ltd and Hutchison 3 in Australia. Prior to Freestyle, Mohan was Managing Director of Tabcorp Gaming and Group Marketing for 10 years. Before this, he held leadership roles with Telecom New Zealand and National Mutual Life Association of Australasia in Australia and New Zealand. Mohan holds a Bachelor of Economics from Monash University, a Graduate Diploma in Accounting and a Diploma from the Insurance Institute of Australia. Mohan is a Foundation Hero. 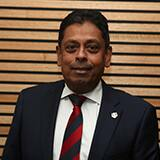 Born in Sri Lanka, Mohan immigrated to Australia in 1972 where he completed his High School and University education. Jane joined the Board in 2015. She is a well-known Australian entrepreneur, business leader and social change advocate, with over 20 years’ experience in business operations and digital. She is currently Executive Director at Light Warrior, family office of Radek Sali. Jane has built various dynamic organisations to successful exit, managing rapid growth and expanding operations in the media, PR, social impact and tech sectors and is currently consulting and advising in early stage tech and venture for a variety of businesses and family offices. Jane’s previous experience includes founding and exiting Undertow Media (now Bastion Effect following its sale to the Bastion Group in 2009), and Shout for Good which was acquired by ANZ Bank in 2015. She is an investor and advisor to Tribe and brandcrush and is also co-founder of not-for-profit Smiling Mind, centred on delivering free online Mindfulness Meditation programs to young people. Jane is a Foundation Hero. Jane balances her weekends between AFL matches and her three son’s local football club (East Malvern Knights) where she frequently performs the role of runner or umpire. 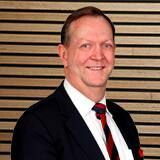 Steve joined the Board in 2014 and is a member of the Nominations and Remuneration Committee and is the Board’s representative trustee of the Red and Blue Foundation. He currently holds an Executive position within the Little Group and is the founder of Peloton Shareholder Services, offering shareholder management and capital raising solutions to a range of ASX listed companies. He is the Chairman of ASX listed Purifloh Limited and a Non-Executive Director of De Grey Mining. Steve’s previous experience is predominantly in stockbroking, including as Head of Private Clients Australia for Paterson’s Securities, one of Australia's largest retail stockbroking firms, and Managing Director of Intersuisse Ltd. He holds a Diploma in Financial Markets, is a Master Stockbroker and Responsible Executive of the ASX. Steve is co-founder of Club Lunch – an active supporter group that is part of the Melbourne Business Community and raises funds that are put into the Football Department. He has also been a player sponsor and is a Foundation Hero. David joined the Board in 2015 and is a member of the Nominations and Remuneration Committee. He is currently a Director of Navitas Limited and Chair of the Faculty of Engineering and Mathematical Sciences at the University of Western Australia and was for almost ten years until September 2016 the Managing Director and CEO of Iluka Resources Limited, an ASX100 mineral sands company with operations in Australia and the US, a global sales footprint and investment activities in many countries. Prior to his time at Iluka, David worked in the downstream oil industry with BP in Australia, the UK, the USA and Asia, before joining Wesfarmers in Perth in 1995. He was appointed General Manager, Business Development for the Wesfarmers Group in 1996 and as Managing Director of Wesfarmers Energy in 1999. In 2004 he was appointed an Executive Director on the board of Wesfarmers Limited, a role relinquished in 2006 on joining Iluka. Previous roles include being a Director of the Centre for Independent Studies, Chairman of Consolidated Rutile Limited and Deputy Chair of Methodist Ladies College, Perth. David holds a Bachelor of Science degree, a Graduate Diploma in Personnel Administration, has completed the Harvard University Business School Advanced Management Program and is a Fellow of the Australian Institute of Management and the Australian Institute of Company Directors. David was born in Melbourne and is a life-long supporter of Melbourne. He was part of the cheer squad in the ‘duffle coat and desert boot’ VFL era. He is a Foundation Hero. In his university days, he played amateur football in Victoria and Western Australia, with a successful period as president of the University Football Club in Western Australia. Kate joined the Board in 2013. She is a Member of the Facilities working group. She is currently the Director of Deals, Investment & Major Projects at Wyndham City and is also the Chair of the Victorian Regional Channels Authority and the Metro Trains Advisory Board, and a Member of the Ministerial Freight Advisory Committee and Ministerial Golf Taskforce. 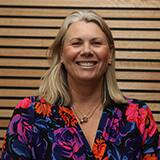 Kate is the former CEO of the Committee for Melbourne, former CEO of VicSport and the Senior Manager responsible for the Melbourne Park Tennis Centre redevelopment and Government Relations at Tennis Australia. 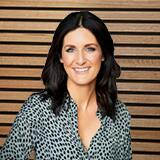 Kate holds qualifications in Sports Science, Sport Administration, and Psychology, and is a Graduate Member of the Australian Institute of Company Directors. Kate has a strong background in professional sport and has had the opportunity to spend time with some of the world’s leading sports teams, including the New York Yankees, Manchester United FC, Dallas Cowboys and Miami Dolphins, reviewing world’s best sporting practice. David joined the Board in 2008. He is a Member of the Club’s Audit and Risk Committee. David is the Executive Chairman and owner of Tigcorp, a company that owns, develops and manages retirement communities, has land subdivision interests as well as an investment arm involved in listed and unlisted securities. He is a director of Vicinity Centres which is an ASX 50 company and he is a director of the Baker Heart and Diabetes Institute. He is also a member of the Young Presidents’ Gold Organisation, the Australian Institute of Company Directors and the Melbourne Cricket Club. David was previously involved in retail property management and development and was the Joint Managing Director of the Gandel Group of Companies and Gandel Retail Management. He was also previously the Chairman of the International Diabetes Institute, a director of the Gandel Retail Property Trust, CFSGAN Retail Property Trust and the Novion Property Group. David has a medical background, and was in private practice for over a decade, holding post-graduate qualifications in obstetrics and gynaecology as well as general practice. He also holds a Master’s Degree in Management from Stanford University, California. David is a Foundation Hero Legend and is the only Platinum Legend.